He said, “Oh, oh, I—I thought I got the Holy Ghost when I believed.” They still teach that, but it’s wrong. Faith’s all right. Faith is real good. 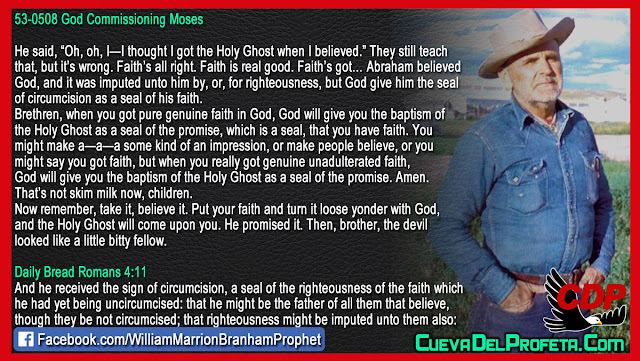 Faith’s got… Abraham believed God, and it was imputed unto him by, or, for righteousness, but God give him the seal of circumcision as a seal of his faith. Brethren, when you got pure genuine faith in God, God will give you the baptism of the Holy Ghost as a seal of the promise, which is a seal, that you have faith. 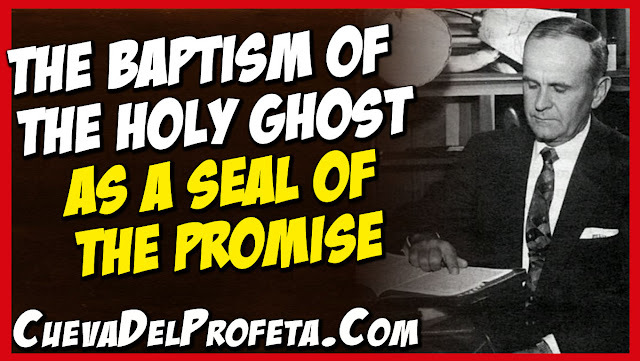 You might make a—a—a some kind of an impression, or make people believe, or you might say you got faith, but when you really got genuine unadulterated faith, God will give you the baptism of the Holy Ghost as a seal of the promise. Amen. That’s not skim milk now, children. Now remember, take it, believe it. Put your faith and turn it loose yonder with God, and the Holy Ghost will come upon you. He promised it. Then, brother, the devil looked like a little bitty fellow.